The University of Wyoming Geological Museum in Laramie supports academic programs, scientific research and public education. It is overseen by the Department of Geology and Geophysics in the College of Arts and Sciences. 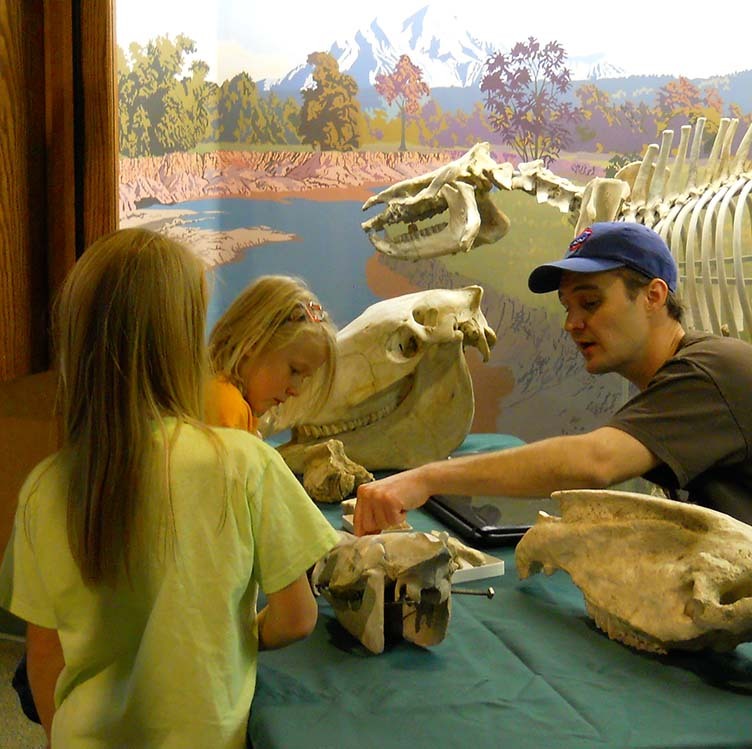 The UW Geological Museum features a variety of displays to illustrate Wyoming's past environments, highlighted by a 75-foot Apatosaurus (Brontosaurus) skeleton that dominates the museum's exhibit hall. Another highlight is "Big Al," a display of the most complete Allosaurus fossil ever found. Samuel H. "Doc" Knight, the legendary Wyoming geologist, was an early museum curator. Knight painted one of the museum's large murals and constructed a campus landmark, the large, copper-plated Tyrannosaurus rex that stands outside the museum. 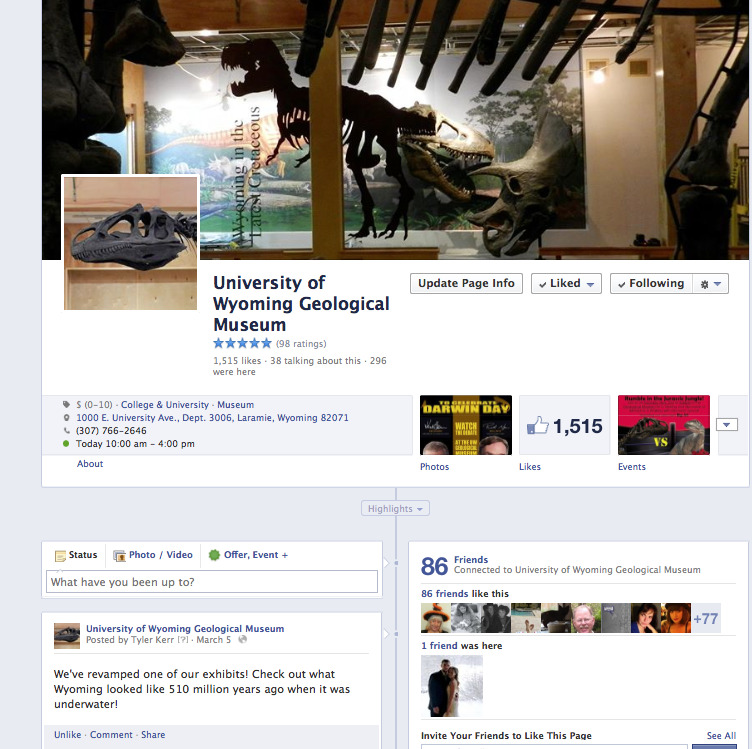 Take a look at the Geological Museum's Facebook page to stay up on the latest in the Museum!! Be a part of our Legacy and help fund students, displays, and outreach! 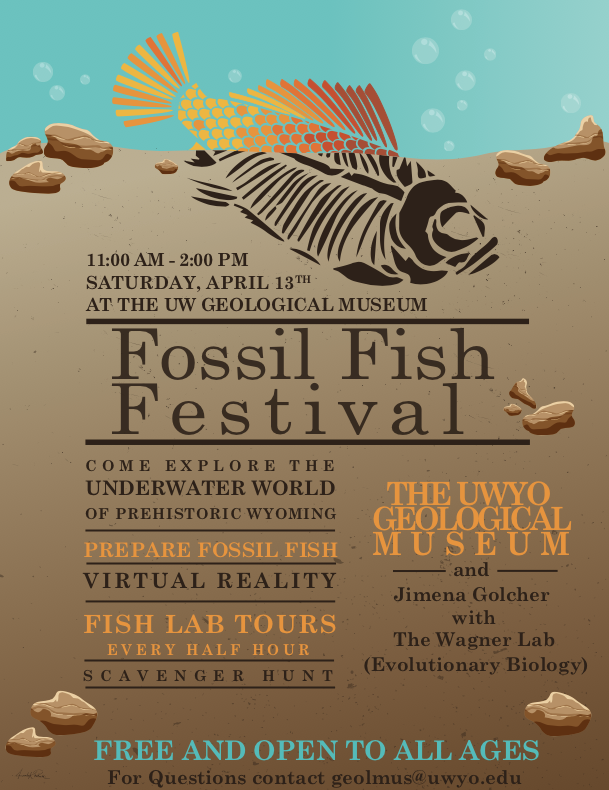 Type 'UW Geology Museum' in the 'Other' box in the gift designation section. We greatly appreciate your consideration!